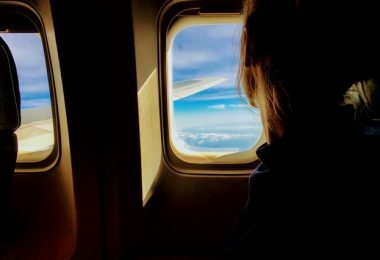 Puerto Rico is a must-visit country for many reasons, but one of the main reasons is that it has the only tropical rain forest in the entire United States National Forest system. 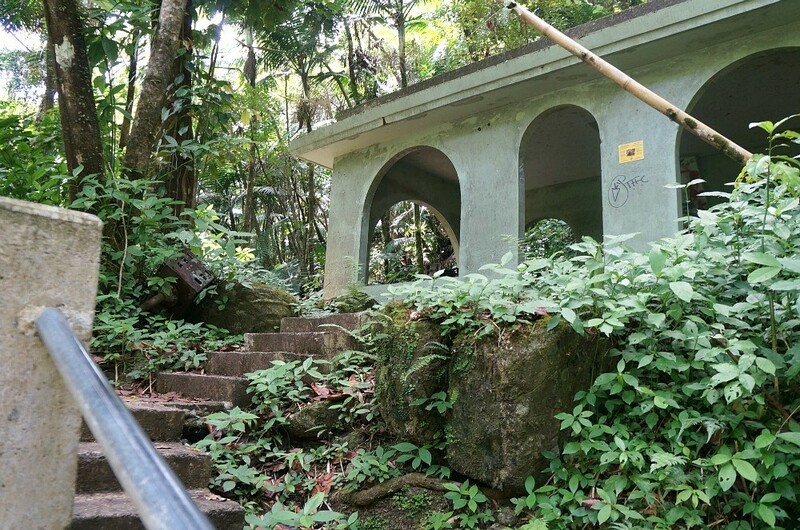 El Yunque National Forest delves through the mountains on the eastern end of the island, it’s quite tall and you can drive for a while on the windy mountain roads and find lots of different areas and viewpoints to stop at. 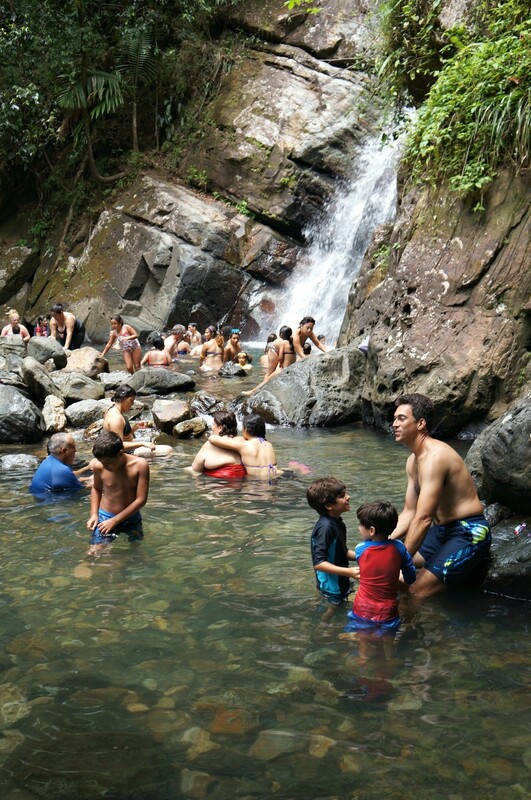 The place is truly tropical, there is an abundance of greenery, wildlife, rivers and waterfalls, and insects. The scenery is amazing, unlike anything you’ll see here in the states. 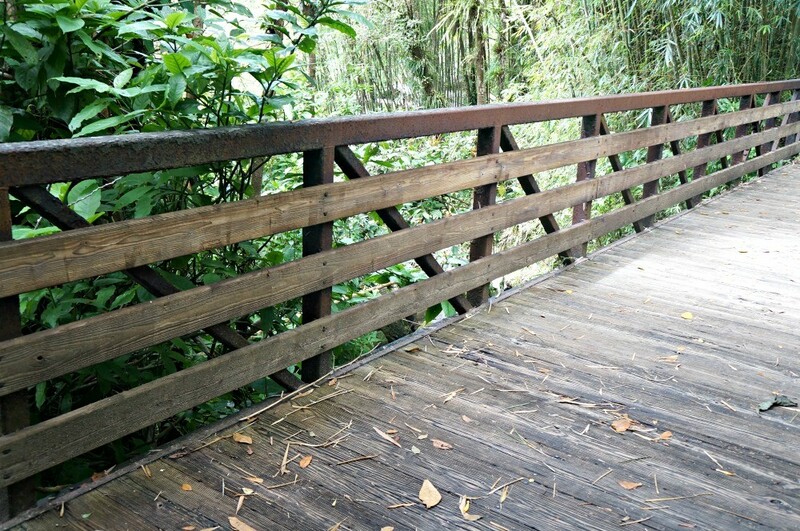 We took a walking tour through El Yunque rain forest on La Mina Falls Trail, it was amazing! 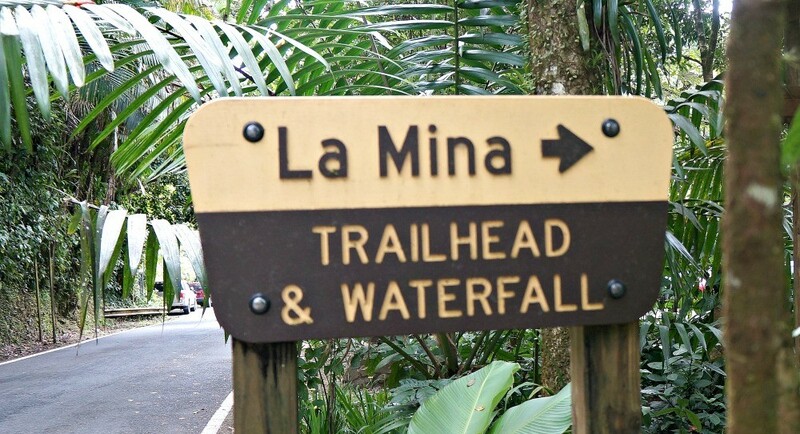 La Mina Trailhead and Waterfall is one of the many hiking trails on the mountain. 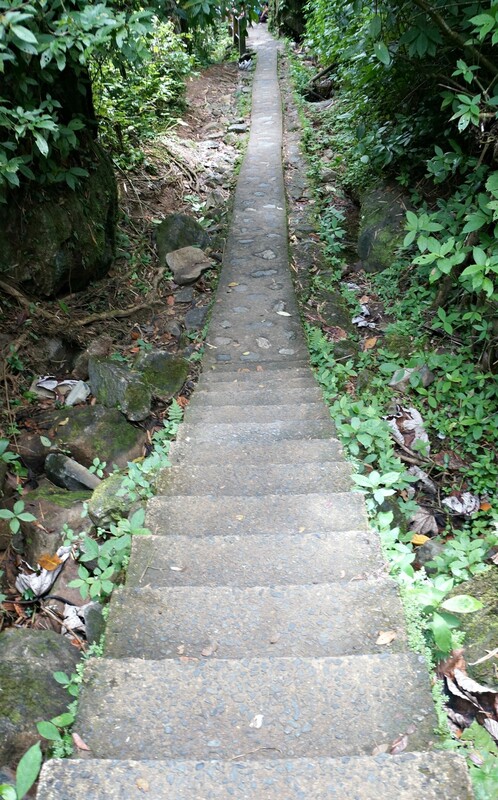 You walk down, down, down until you meet a waterfall, take a swim, and hike your way back up the steep trail to the top. Our tour guide told us that it was one of the easier trails, and it took an hour and a half to complete, swimming in the fresh waterfall for 20-30 minutes. There were so many neat things to see on the trail. This was the beginning of the trail. The lush greenery is stunning! This large, fallen leaf was sitting off to the side of the trail. I was surprised at how big it was, and to see all of the details on it. It was the size of about four of my hands put together, two on top and two on the bottom. Can you imagine what the living ones on the trees above looked like? Some more of the sights as we head down the trail… We found some big boulders, it looked like a great photo opp! I liked these stairs, they were in the middle of the trail. This picnic shelter had bbq’s in it, apparently the locals hike down here often for some family fun. We saw a bunch of people swimming in the small streams on our way down. Alas, we made it! La Mina Waterfall! 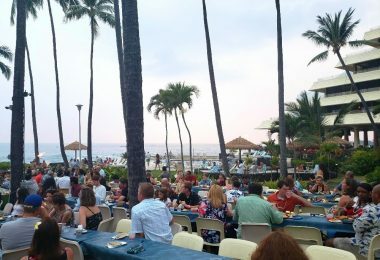 Plenty of people sit among the rocks, this is the spot! It took us about 30 minutes to get down here. This water is so refreshing and cool, I took a dip and sat right underneath the splashing water. Tons of kids and adults were doing the same! After a Puerto Rican swim, we hiked back up the mountain. Trust me when I say that it was tiring, if this is the easiest, I don’t even want to know what the other trails are like! Even though our legs were burning once we reached the top, it was worth it. Isn’t that what hiking is all about? 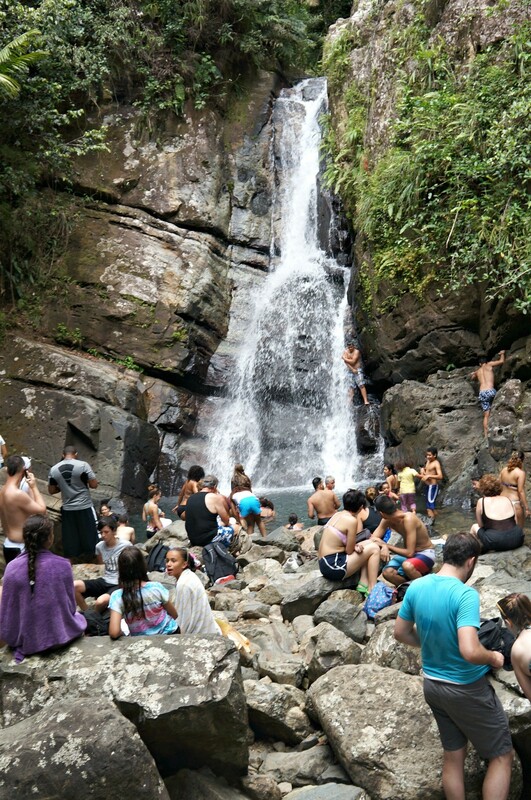 You must travel to Puerto Rico and visit El Yunque Forest and swim in La Mina Waterfall! It’s amazing, there are many more tours here. I’ll be looking for zip lining next time! Have you ever swam in a natural waterfall? 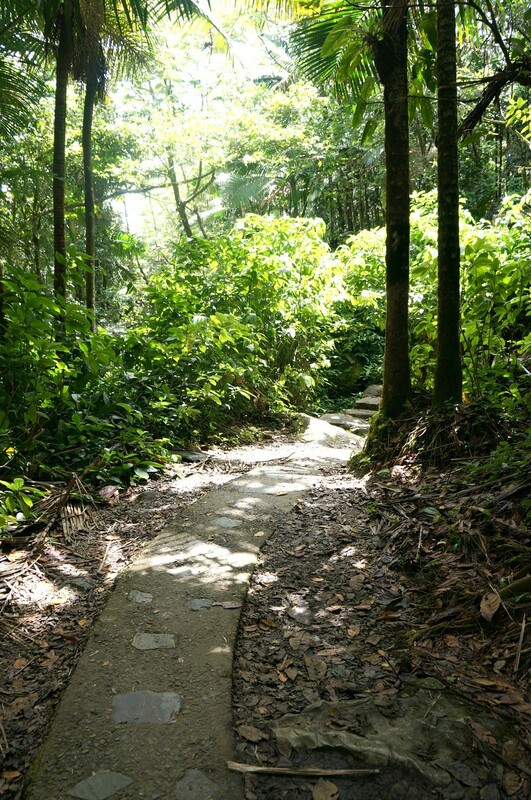 I just came back and had an AWESOME experience hiking in the rain forest. So awesome I went back the next day for more hiking and scenery!! 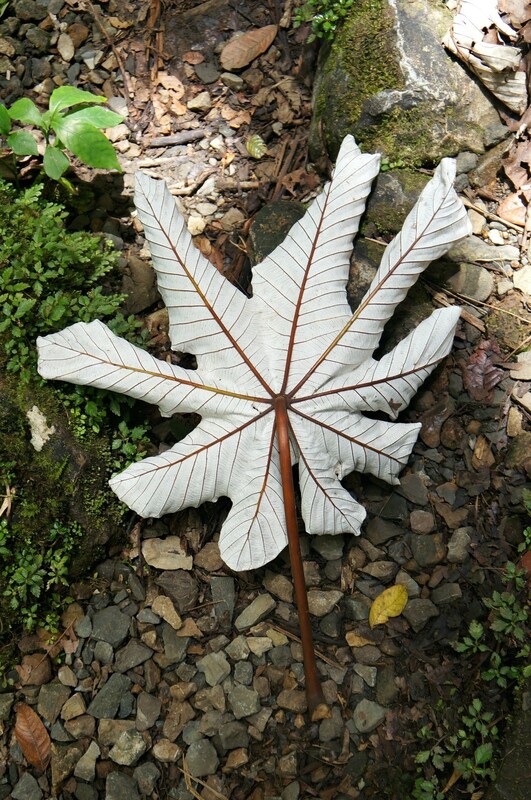 I would love it if someone can identify the giant leaf?? Seriously?! Dangit! I was DYING on the way up. DYING. At least I’ll be able to do the other trail with ease! I had no clue Puerto Rico was that beautiful! 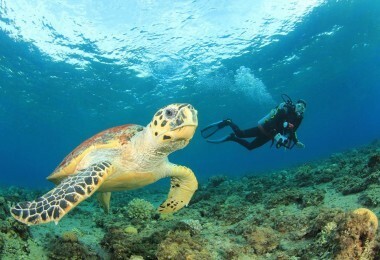 I need to go someday!